This design pretty much sums up all Brides-to-Be; enjoying cocktails, dancing, and showing off your ring, is definitely on the cards for your hen party! 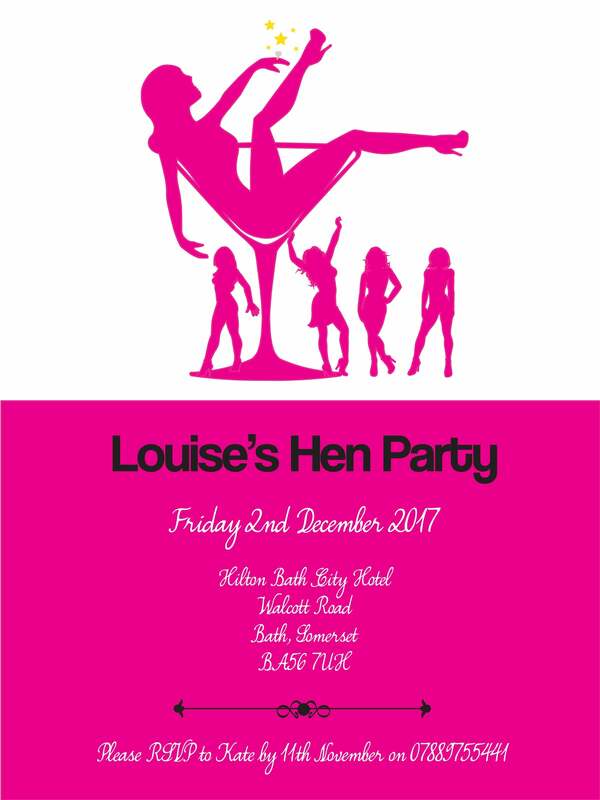 Personalise this invitation with your unique hen party details, such as name and location. We will then apply your details to our design template, and send you a PDF file of your invitation, directly to your inbox.